When Nicole Cliffe and Mallory Ortberg, co-founders of The Toast, announced that the publication would be closing on July 1, 2016, the Internet mourned as if their favorite childhood neighborhood restaurant would be closing its doors. With Nicole Chung as the managing editor, The Toast was able to create a benevolent space of progressive yet quirky feminist content that readers hated to see leave. While she would sift through countless submissions from freelance writers, Nicole herself would contribute her work that ranged from humorist pieces to introspective essays. The publication was an important space for many readers, including people like former U.S. Senator Hillary Clinton. The publication moved Hillary Clinton so much that she wrote a special farewell blog post for The Toast, sharing with readers the importance of communities creating safe spaces for free speech, especially for women. As any great leader would do, she was able to turn this moment of a mourning loss into a beginning beacon of hope, encouraging others to create, “And if the space you’re in doesn’t have room for your voice, don’t be afraid to carve out a space of your own. You never know — you might just be the next Nicole Cliffe, Mallory Ortberg or [Nicole] Chung.” Though a great endorsement coming from someone of the likes of Hillary Clinton, Nicole Chung is not a type of writer that can be replicated. She’s the type of writer that writers should try to aspire to be. 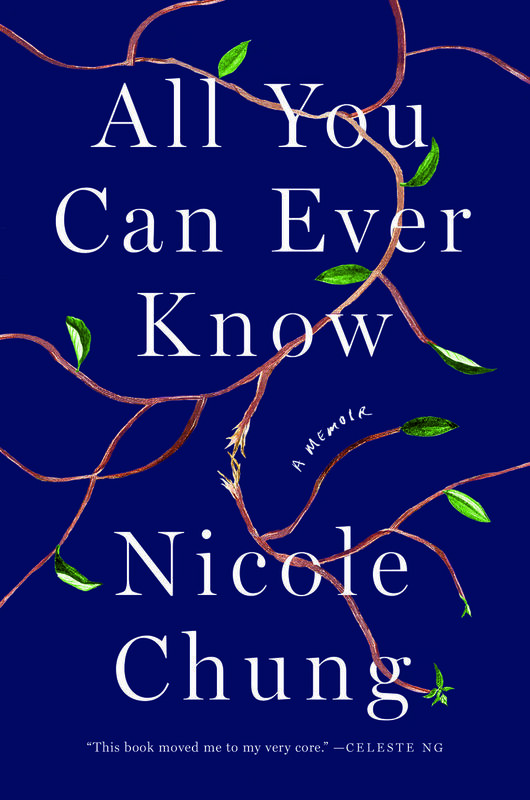 Nicole’s talent stems from being a special hybrid of an essayist and an editor, and now she can add author to that resume with the publication of her memoir All You Can Ever Know. Nicole Chung’s memoir follows her candid and vulnerable journey of searching for her Korean birth parents while growing up in a white family in Oregon. This insightful and suspenseful book has already received immense attention and acclaim from prominent media publications, including: A Barnes & Noble Discover Great New Writers Selection, An American Booksellers Association, Library Journal’s Fall Editors' Pick 2018, The Washington Post’s 1 of 20 Books to Read This Fall, and the list continues to grow. The response has been nothing short of stellar with The New Yorker writing, "Chung’s memoir is more than a thoughtful consideration of race and heritage in America. It is the story of sisters finding each other, overcoming bureaucracy, abuse, separation, and time." Although she has tackled these themes previously in essays such as “Adoption Openness and “Did You Ever Mind It? : On Race and Adoption,” creating a transracial adoption memoir is her most ambitious project yet. In The Atlantic, Chung reveals one of her inspirations to how she approaches every writing assignment is her favorite passage from E. B. White’s essay “The Sea and the Wind That Blows.” She shares, “White describes how he progressed from smaller, more manageable boats to bigger boats and more challenging voyages. I think that’s what writers do, too.” Chung patiently waited for the right time to write her memoir. She took her time honing her craft project by project as she became the Editor-in-Chief of Catapult Magazine while continuing to write essays such as “Rewriting Adoption” and “What I Learned from Kristi Yamaguchi.” With every project she took, these were the incremental building blocks for her confidence and stamina to make this personal memoir such a favorite among critics. Being the next Nicole Chung is a daunting goal to reach, as her writing style continues to be shapeless and formless, like water. However, this doesn’t diminish her influence of inspiring others. Never have I shared this publicly, but she was one of the few inspirations that inspired me to pursue writing. Through her work I was able to empathize with her of what she was trying to convey, from similar encounters like “What Goes Through Your Mind: On Nice Parties and Casual Racism” to crying virtually beside her with coping with my loss reading “How to Write a Memoir While Grieving.” So to receive the utmost pleasure and privilege of interviewing Nicole Chung through email for Kollaboration’s #KollabSFGetsLit series was a thrill for me. In the interview we discuss what an editor should do, #AsianAugust, and a writer's voice. Long Vo: As an essayist, are there themes you tend to gravitate toward more? What were some topics/themes you were afraid to tackle early on in your career that you can freely write about now? 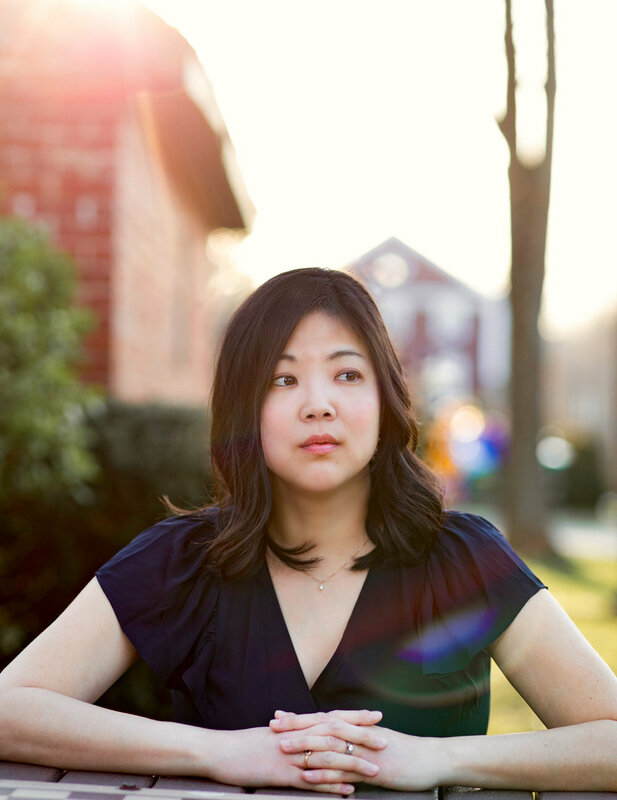 Nicole Chung: I write a lot about race, representation, family, identity, and belonging. I love to interview interesting people, especially artists and writers. I wouldn’t say there are things I was afraid to write about at the start of my career; if anything, I think I’m a little more cautious now than I used to be, because now I know what it’s like to be a woman of color writing on the internet. My father passed away in January, so lately I have been writing more about grief and loss. LV: Do you feel an obligation as an editor, a person of color, and now a voice for transracial adoption, to help bring diverse stories to light? NC: As an editor, one of my biggest joys and responsibilities is to work with and publish emerging writers—including writers of color and anyone who might be underrepresented in the literary landscape. That’s not just my obligation as a writer and an editor of color, though! It’s the job of every editor at every publication. LV: Which kind of stories catch your attention, out the many stories you have to read through? NC: It sounds simplistic, but I am looking for a well told story, one the writer is ready and unafraid to own. That comes through in a writer’s voice. Voice is the first thing I notice, the main thing I’m reading for—I imagine most editors would say the same. Without the voice, there’s no story, nothing for the reader to hold onto. A writer’s voice is what you remember long after you’ve gone fuzzy on the details of their story. It’s what you think about, what you look for, why you follow them and search out their other work. LV: This year we experienced #AsianAugust—Crazy Rich Asians, John Cho in Searching, To All the Boys I’ve Loved Before—as well as books like Vanessa Hua’s A River of Stars, Crystal Hana Kim’s If You Leave Me, Lucy Tan’s What We Were Promised, R. O. Kwon’s The Incendiaries. What do you hope people can take away from these diverse Asian American stories? NC: I have said this elsewhere as well—what I love most about all of these different stories we’re finally getting is just that: the diversity; the variety. I grew up not really reading any Asian or Korean American authors. I didn’t think I could ever become an author in part because I didn’t see anyone like me doing it. It means so much to me to have this wealth of stories, and to know that this life I always wanted is possible after all—not just for me, but for so many Asian American writers and artists and creators. As the field grows, we’ll see more stories, and different kinds of stories, and readers’ ideas about what Asian American literature is, and what it can be, will continue to expand. No one experience, no one type of story, will have to try to represent us all. We will get to be seen for who we are, whatever that may be. I love that and look forward to it. LV: Many second-generation Asian Americans struggle to communicate with their first-generation parents because of the language barriers. In All You Can Ever Know, your search for your biological parents had an extra layer complexity because you had to communicate with them through a language barrier. You expressed your first reactions in your book—but have you had more time to reflect on the cultural differences and language in particular? NC: I think a lot about this because it still has an impact on my relationship with my birth father. Not my sister, whose first language is English, like me. When I talk or write to our father, though, it’s a little more challenging. He’s fluent, but carrying on a lengthy conversation with a lot of jargon, or reading my book start to finish—these things are more difficult for him. And of course he’s in far better shape than I am; I can’t really converse in Korean. We do the best we can. We seem to fare better in writing than we do speaking—and better talking in person than on the phone—but I do really like talking with him when I get the opportunity. I grew up not knowing anyone in my birth family at all, of course, so I am profoundly grateful to be able to communicate with them now. LV: Your book does a great job balancing some older Asians’ fear of transparency when it comes to family baggage while also conveying your birth parents' human flaws—you show they aren’t perfect people, yet they are also not evil. You had help consulting with your biological sister to write this book. Did you have to do more research to navigate this narrative? NC: You know, I did try to be careful there, and at the same time it’s such a deeply personal story—I wanted to be sure that came across. It is a personal story. I wasn’t attempting to write more broadly about Korean or Korean American culture. I also know that I am extremely unqualified to write about Korean or Korean American culture, growing up as I did in a white family! And I didn’t want anything to come across as an unfair generalization about any group of people. I didn’t worry about representing a whole community; I tried to represent the truth. I mostly talked with Cindy and other members of my family to make sure I had my facts straight, and tried hard to show each person, each character, as a whole and complex human being with their own feelings and motivations (even if some of those feelings and motivations remain unknown to me personally). I don’t think anyone in the book is truly bad or, as you note, perfect. Most people are just trying to survive, to do their best. The book is not a sensationalistic story full of heroes and villains—the suspense comes from wondering what is going to happen, how everything is going to unfold, how much of the truth can ever really be known or recovered once lost. LV: What do you hope people walk away with after reading your very personal story? NC: I truly hope they enjoy the story, first and foremost! I wrote this as a piece of literature, first, and I want people to find it worthwhile and fun to read. I hope my fellow adoptees and Asian Americans and children of immigrants who read it find something to relate to. It means a lot to me when adoptees write and tell me my book helped them feel seen. It is of course wonderful if the book helps some readers think more deeply about the complexities of transracial and transcultural adoption, but I truly didn’t write it to educate; to lecture anyone. I truly hope it helps open the door to more stories about adoption that center the voices of adopted individuals. I’m still waiting for adoptees’ experiences to go mainstream, for us to be viewed as the authority on our adoptions and our lives.